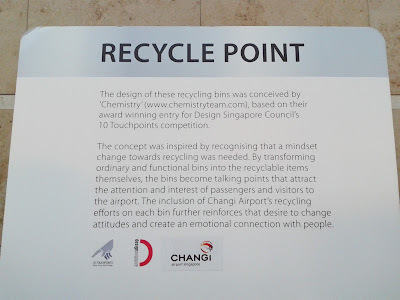 Saw these recycling bins at Changi Airport. 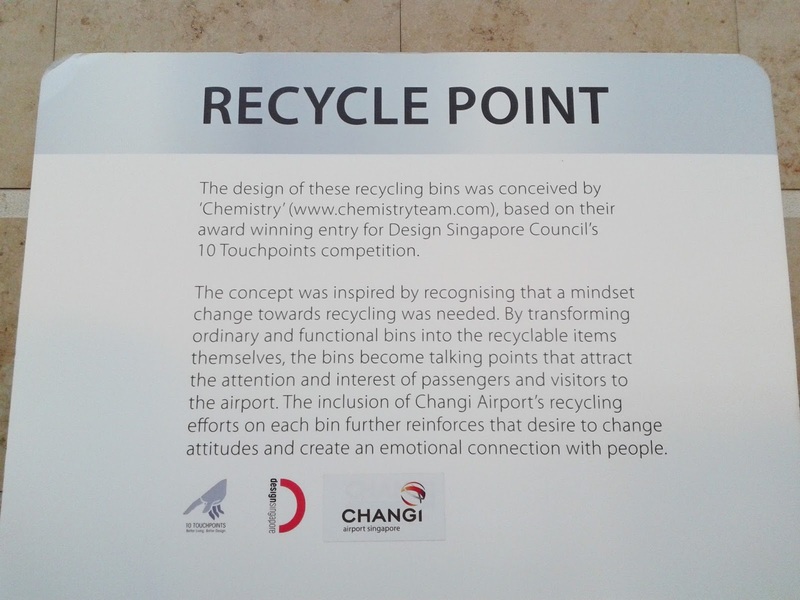 The design of the bins inform people what they should put inside thus making it easier for people to recycle. 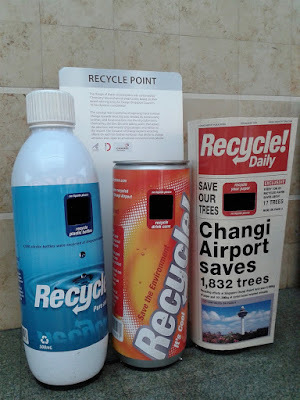 It's a creative way to encourage recycling!